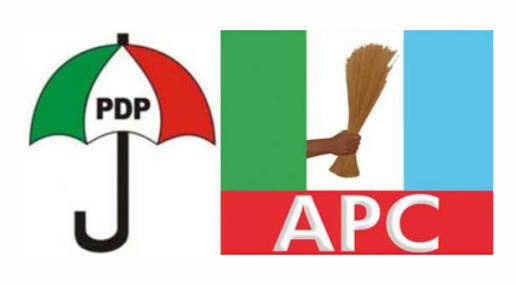 The Peoples Democratic Party (PDP) today accuses the Independent National Electoral Commission (INEC) and All Progressive Party (APC) in a press statement through it National Publicity Secretary Kola Ologbondiyan, of plotting to use illegal polling units to rig the 2019 election. "The Peoples Democratic Party (PDP) condemns the fresh plot by the Independent National Electoral Commission (INEC) to secretly create 30,000 illegal polling units in compromised areas in favour of the discredited All Progressives Congress (APC) and President Muhammodu Buhari. The PDP describes the exposed plot of INEC and APC as wicked, horrible and totally unacceptable. Our investigation shows that this is part of the grand design by the commission under Prof. Mahmood Yakubu to rig the 2019 general elections in favour of President Muhammadu Buhari and his dysfunctional APC. We are aware of series of clandestine meetings between compromised officials of the commission and certain agents of the Presidency and APC, where the plot to sneak in the 30, 000 illegal polling units in some remote areas and through which they plan to allocate votes to President Buhari and the APC were perfected. Having realized that Nigerians have completely rejected them because of their manifold failures in governance, the Presidency and the APC are now employing all manners of dirty antics to create ways to rig the polls and foist President Buhari back on Nigerians. The PDP cautions INEC not to set the nation on fire by its overt conspiratory tendencies. Prof. Yakubu should heed wise counsel and immediately perish the thoughts of using such polling units or dividing the nation along ethnic lines in the 2019 general elections, as such would be stiffly resisted. We invite INEC to note that every Nigerian has seen the handwriting on the wall regarding the general rejection of President Buhari and the APC well ahead of the elections. We all know where the tide is flowing and Nigerians are not ready to, and will never accept any results that do not reflect that reality. Having completely lost confidence in the integrity of INEC under Prof. Yakubu, we unequivocally demand that all processes leading to the 2019 must be subjected to open review of political parties and stakeholders at all levels. In this regard, we demand that INEC makes public the location and status of all polling units as well as the report of its investigation of under-age voters in various parts of the country, particularly, Kano and Katsina state. Finally, we urge Nigerians to remain vigilant and monitor all processes to ensure that INEC and the APC do not, at any point in the process, manipulate the 2019 general election and subvert the will of the people. The best thing APC and the Presidency should do now is to accept failure, shed their desperation for power and desist from actions that will push the nation to the brinks.